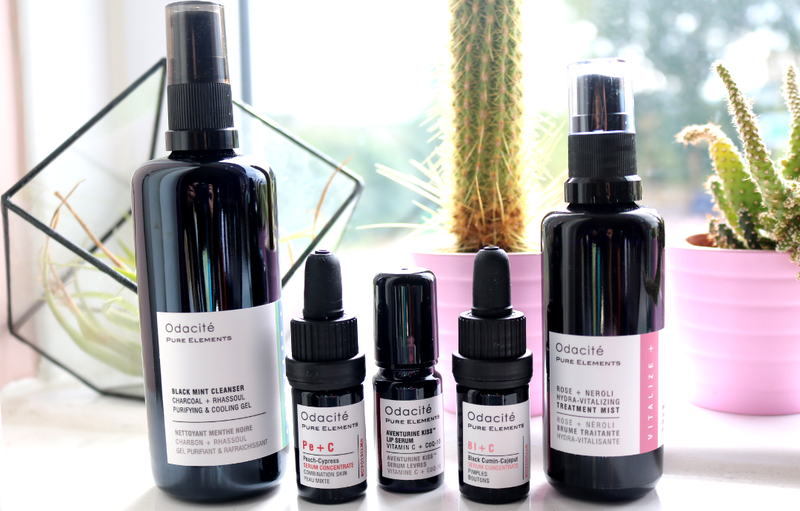 Odacité are one of those amazing cult skincare brands that I've been wanting to try out for absolutely ages, so you can imagine how excited I was when this package arrived from the US! Odacité are based in California and have become world-famous for their innovative formulas which are cruelty-free, clean, organic and natural. These attributes are truly at the core of this luxury green brand as the founder, Valérie Grandury, was diagnosed with breast cancer back in 2004. Following her diagnosis, Valérie wanted to create a skincare range that was both healthy and beautiful, with 'freshness' being one of the main inspirations. It's no surprise then to learn that all of Odacité's products are entirely free from synthetic ingredients and boast some of the freshest, organic natural ingredients that are sourced from around the world. After years of experimenting and perfecting various formulas, Odacité was launched to the public in 2009 and has enthralled skincare junkies and green beauty fans ever since. I've been testing the following products out in a full skincare routine for about four/five weeks now and wanted to share my current thoughts on this interesting range. For reference, my skin is combination, prone to blemishes and can sometimes be sensitive. 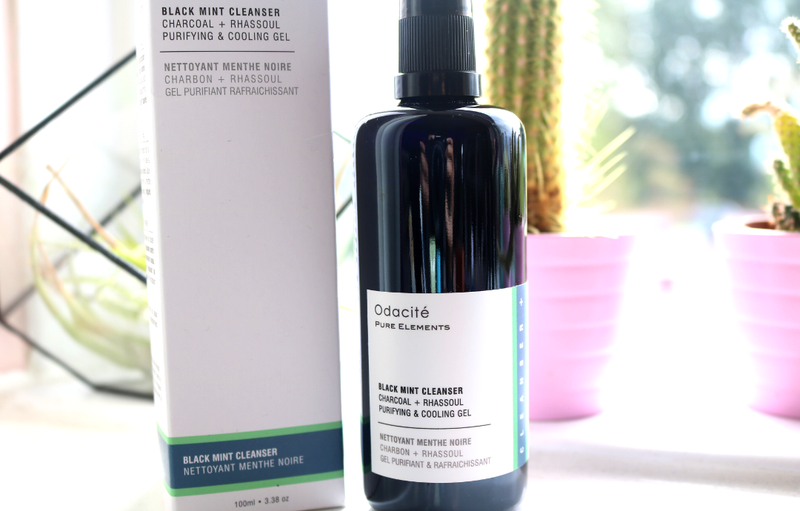 Packaged in sleek black glass and featuring a handy inbuilt pump, Odacité's Black Mint Cleanser is an exceptional purifying facial cleanser that would suit anyone who has oily, combination and blemish/acne-prone skin. The texture of this cleanser has a thin gel-like consistency which turns into a light foam for a deep clean that feels instantly cooling and refreshing - it's a delight to use during the warmer Summer months! My skin feels super clean but without any tightness or dryness afterwards. Key active ingredients include Activated Charcoal and Rhassoul Clay to draw out impurities, and there's Peppermint and Tea Tree to refresh and wake up a tired complexion, whilst also helping to reduce the appearance of pores. Although this cleanser can remove light makeup, I've kept to using it exclusively in the mornings, mainly due to the price tag and the fact that I really enjoy a properly refreshing cleanser to make me look more alive first thing. If that sounds like something that you need in your life and you have the budget for it, I certainly recommend it. 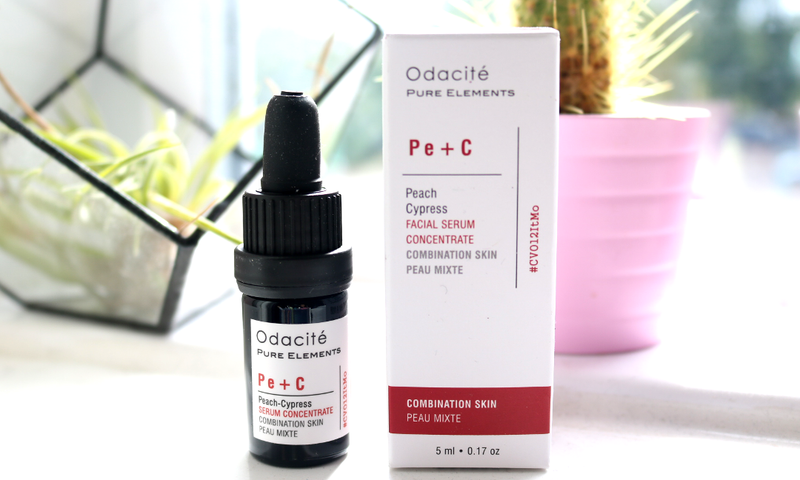 Odacité are most well-known for their range of Serum Concentrates, and having tried two of them for myself, I can say that if you only buy one product from the brand, make it one of these. 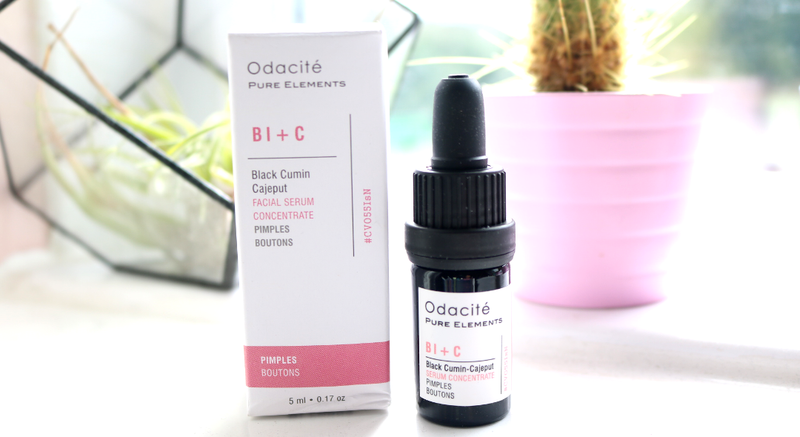 They have a product for every type of skin-related problem or concern, and their Black Cumin Pimples Serum Concentrate is one of the brand's bestsellers. Specially formulated to really get deep down into the pores, this serum has a very clarifying and purifying effect and manages to blitz away blemishes quickly, whilst still not drying out the skin like most other acne/spot treatments do. The superstar main ingredient is the highest-grade, cold-pressed certified virgin organic Black Cumin Oil which is revered for its abilities to tackle clogged pores and draw out embedded impurities, whilst Cajeput Oil is included to help fight the source of the bacteria which often causes blemishes in the first place. As the name suggests, a little goes a long way so don't be put off by the small size of the bottle. You can either use 2-3 drops mixed in with your daily moisturiser, or apply a few drops directly to the skin as a blemish treatment which is how I've been using it. I've definitely noticed a decrease in new breakouts and it's helped to clear up some of those stubborn under-the-skin bumps that appear during that 'time of the month'. 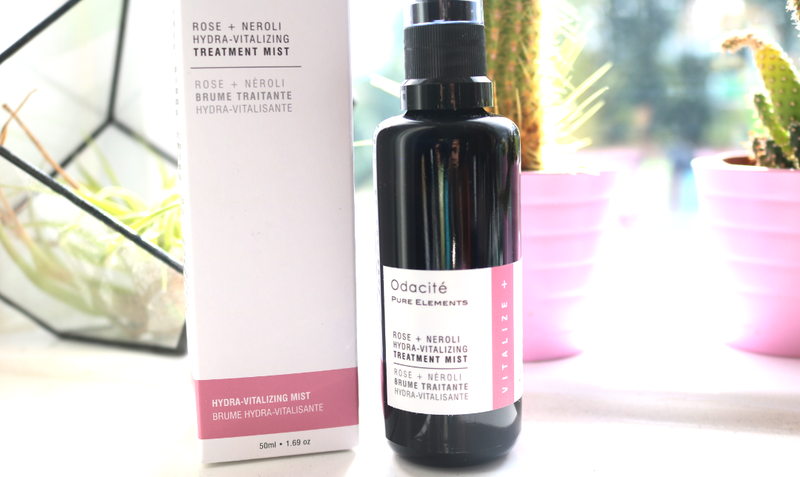 Rose and Neroli are two of my favorite essential oils, so I had a gut feeling that I was going to enjoy using this Hydra-Vitalizing Mist, and it did not disappoint. Made from an expert blend of some of nature's most soothing and moisturising ingredients, this wonderful spritz contains the likes of Rose Water to balance sebum, Aloe Vera to keep the skin protected and moist, Neroli to banish blemishes, and Aspen Bark which acts a potent astringent to help minimize the appearance of pores. The mist is distributed lightly with the pump applicator and feels so amazingly refreshing and hydrating on the skin. It's brilliant to use in your everyday skincare routine, as well as whenever you feel that your skin needs a revitalising pick me up. I don't personally feel that you ever need to spend much on a toner/spritz, but if you are in the market for a really luxurious organic one and have the cash to splash, this is certainly a product to treat yourself to. I'll definitely be decanting some of this to take with me on my next plane trip! Effective serums for combination skin types can be difficult to find because they essentially have to do at least two jobs; balance the skin's sebum production to keep the oily parts under control and provide moisture to the drier areas. Fortunately, Odacité's Peach Cypress Combination Skin Serum Concentrate manages to do those two jobs perfectly. In this serum, you'll find a blend of Seabuckthorn Oil to smooth and even out the skin's texture, Peach Oil to minimise excess sebum and make pores appear smaller, and Cypress and Grapefruit Oils to keep shine at bay and the skin soft with their natural astringent and antioxidant properties. The result is a super lightweight serum that absorbs easily without any stickiness, and gives the skin a nice matte finish without making it feel tight or dry. I find that the Serum Concentrates are best used as treatments applied directly onto the skin, as and when you feel that your skin needs them, but you can add a few drops to your daily moisturiser if desired. 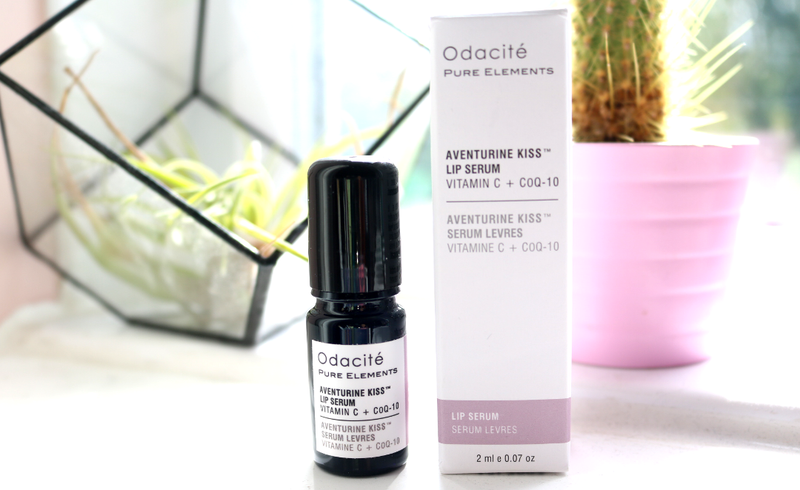 The newest release from Odacité is their Aventurine Kiss Lip Serum and this is something that I was a little sceptical of at first. I mean £44 for a lip serum - do I really need this in my life?! Whilst it's by no means a skincare essential, I have to admit that it is a beautiful product that has made a difference to the overall appearance and texture of my lips, so I'll give it all the credit that it's due - this stuff works. Open it up and you'll find an Aventurine green crystal rollerball applicator which completely seals the deal as a luxurious Princess product and it'll make you feel like a million dollars whenever you use it. Described as a 'triple-action' serum, the formula targets the vertical lines of the lips, deeply hydrates and helps to restore the natural plumpness that can be lost through ageing. Key ingredients include the super antioxidant CoQ10, Vitamin C, Cacao Butter, Shea Butter, Moringa Oil and Jojoba Oil, plus there's a little Mint and Capsicum to give it a tingly, warming feel, and no doubt helps to plump up those lips! Although the plumping effect is temporary (I'd say it lasts a few hours at most), I have seen a noticeable difference in how smooth and soft my lips look and feel. If your lips are your best feature and you want to give them some serious luxury TLC pampering, the Aventurine Kiss Lip Serum will be right up your street. Odacité can be found in the UK via various stockists including Naturisimo, Cult Beauty and Content Beauty. Have you tried any cult products from Odacité?